ENDLESS OUTFIT COMBINATIONS: Pair these shoes with just about anything! 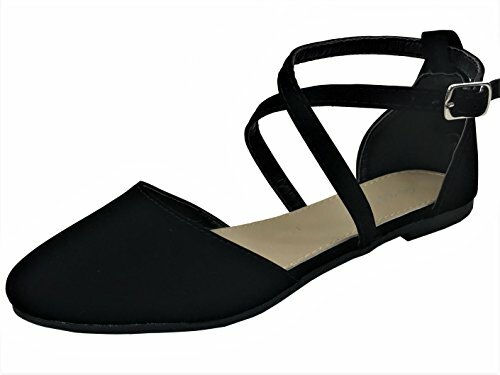 These cute flats allow you to wear with dresses, jeans, shorts or slacks. These can also be a great "go-to" work shoe for the office. Also cute dance shoes or for a special occasion! MEASUREMENTS: Heel measures approx.1/4". Fit is true to size. If you have any questions about this product by Wells Collection, contact us by completing and submitting the form below. If you are looking for a specif part number, please include it with your message.